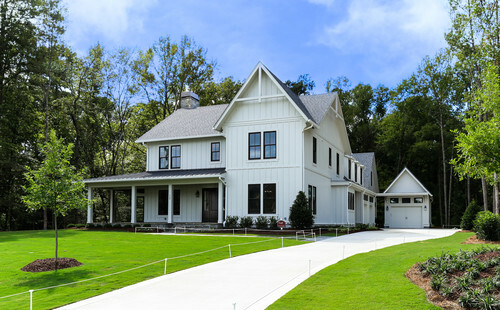 We had no idea that our new home would end up being a modern farmhouse when our family decided that we were ready to build. 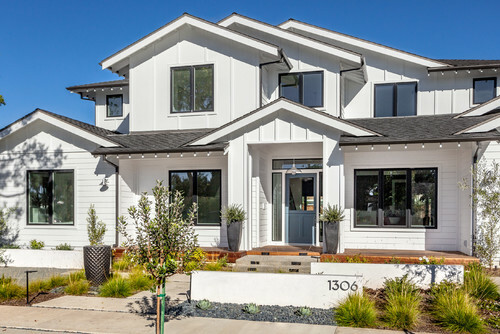 When we first met with our builder, Cameron Curtis of Curtis Homes, he asked us what we thought about the idea of building a modern farmhouse. He shared that the particular lot we were interested in building on was slated for a modern farmhouse. 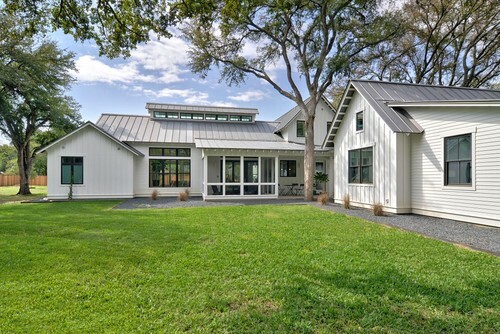 Almost every single modern farmhouse that I found online had a black roof. Some had shingles while others had black metal roofs. 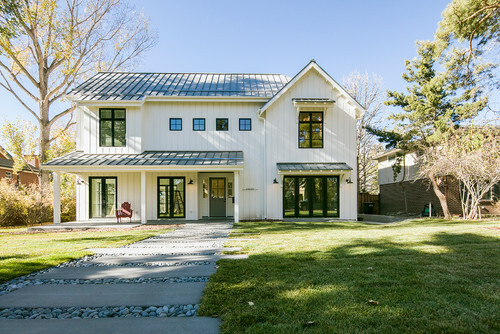 I personally think that the black metal roof looks AMAZING on a modern farmhouse, however a metal roof is substantially more expensive. 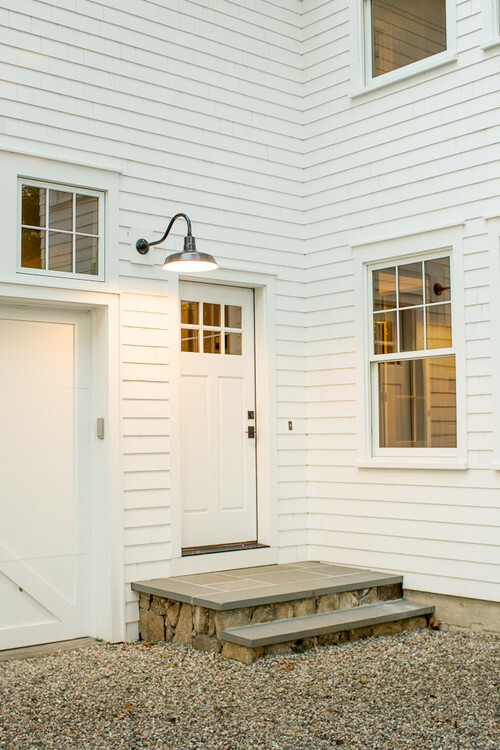 Many of the modern farmhouses I found online featured board and batten siding. I did find quite a few with fiber cement siding as well, but my favorite examples all had board and batten siding included. 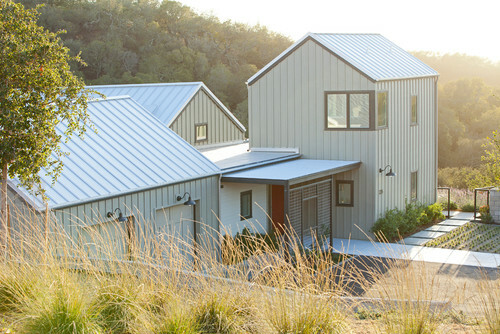 This first example here from HOUZZ features a combination of both board and batten as well as fiber cement siding. Not all farmhouses I found had black windows; however, those with black trim windows really popped with the white siding. 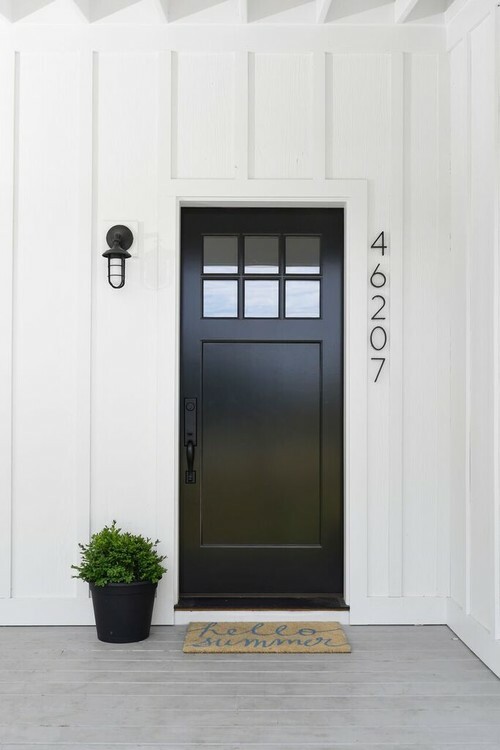 Black trim windows are certainly more expensive than white trimmed windows, but the aesthetic of the black windows really adds a lot to the look and feel of a modern farmhouse. Of course not all modern farmhouses have these particular design elements, but there definitely appears to be a theme among modern day farmhouses. What do you think? 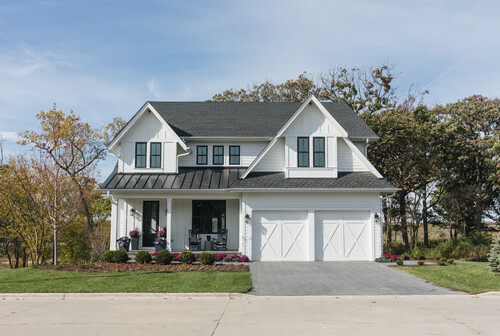 Are there any key elements of a modern farmhouse that I’m missing? 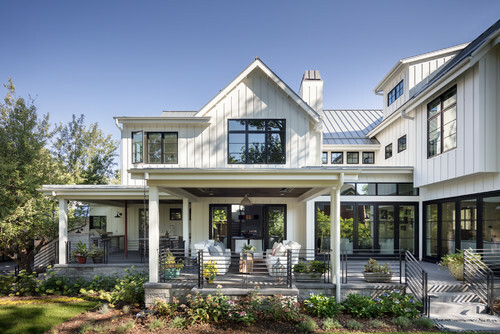 Tell me, what is your favorite element of a modern farmhouse? They are quite pretty houses arent they. Good luck with it. 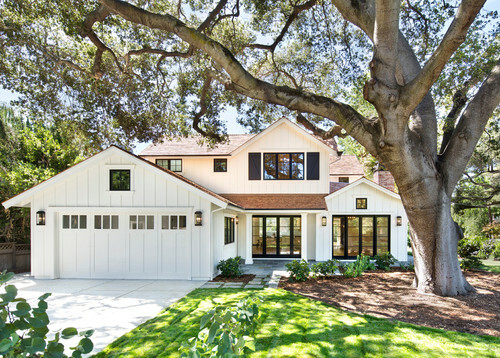 Yes, I love the look of a modern farmhouse. Thank you! Love the look you are going for. Very pretty! Thank you Ally. This is quite a dream come true for us! Love Love Love! I hope to have a modern farmhouse someday. This is so pretty! Thank you Brittany. Be sure to follow along as I will be sharing lots of tips and advice for building. I hope you get your modern farmhouse someday as well! This post is giving me serious house envy! I’m still in the apartment stage, but dreaming of a big house with some land one day! Good luck! I love this look! So nice! I how it works out for you all! There are so many elements of the farmhouse that I love. I just never associated them with a farm house. 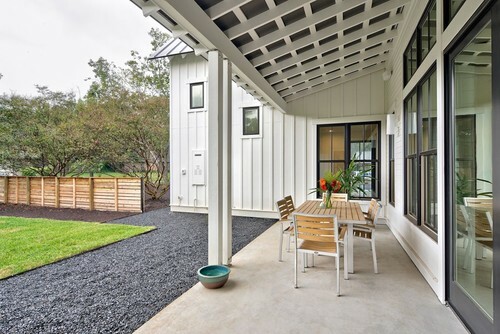 For example, I absolutely love covered porches rather they are screened in or not. 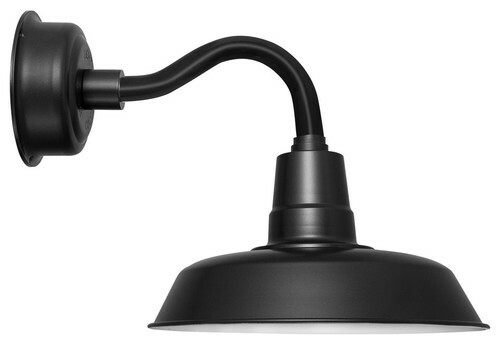 I also love the idea of industrial lighting. This was very educational for me. I too hope to build a Home one day soon. I’ll definitely be referring back to this! I’m glad this was educational for you! Thanks for taking the time to leave a comment! 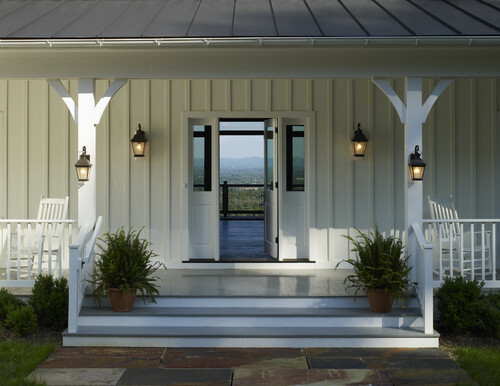 The Farm House style looks very inviting! Thank you for your insights to building a custom Farm Home; I really like the black vinyl exterior window trim. You are right; it does make the windows stand out. Question, when you use black vinyl trim on the exterior, are you using black or white vinyl trim on the inside? Thank you for following along! We have white vinyl trim on the inside.